Dokola, Wuhan, and even the recent deployment by China of cruise missiles to artificial islands in the disputed South China Sea: These are not a series of reactive moves by China. Instead, they are part of a larger Chinese strategy in the New Great Game playing out today in the Indo-Pacific. The big question is whether India, and other major powers in the Indo-Pacific, are being maneuvered by China or if they have a longer-term strategy of their own? Politicians and policy analysts have a tendency to view political events as part of a game of short-term chess moves and counter-moves. What is important here is not the individual moves of the players, but the larger chessboard of the Indo-Pacific — one that is today strategically dominated by China. China’s long-term strategy in the Indo-Pacific rests on its Belt and Road Initiative, which seemingly focuses on investing in infrastructure and enhancing connectivity to create a “win-win” for all involved countries. Yet these are meant to support China’s strategic interests — indeed hard power deployment in the Indo-Pacific — when needed. China’s game in the Indo-Pacific is all about dual-use ports. These can, and have, hosted Chinese military vessels and served as Chinese territory and special economic zones (SEZ). The game is increasingly reminiscent of the British East India Company’s forays in the Indo-Pacific. The examples of Myanmar, Sri Lanka and Pakistan illustrate this. In Kyaukpyu port in Myanmar’s restive Rakhine state, the Chinese have 70 per cent equity along with a reported $10 billion investment in a neighboring 4,000-acre SEZ. Pipelines connecting the port to China already enable it to bypass the Malacca chokepoint for oil and gas delivery to its Yunnan province. Chinese port investments in Hambantota, Sri Lanka, through 6.3 percent interest-bearing loans were unprofitable and exacerbated the country’s debt, leading it to sell its crown jewels to the Chinese and allow port visits by the Chinese navy in 2014. The Chinese now have an 85 per cent stake in Hambantota port under a 99-year lease agreement, a majority stake in the security provision of Hambantota, and, in an equity-for-debt swap, acquired an additional 15,000 acres nearby to develop another SEZ. In Colombo Port City, the Chinese have another 99-year lease agreement to invest $15 billion to reclaim and build on 665 acres right next to the Sri Lanka’s capital. Chinese investments in Pakistan’s Gwadar port, where China has a 40-year lease agreement after the Port of Singapore Authority abandoned the unprofitable port in 2013, are similarly part of a larger plan. The $62 billion planned investments in the China-Pakistan Economic Corridor will link Gwadar port, a planned nearby naval base, and several 10-year, tax-free, SEZs in Pakistan with China’s restive Xinjiang province through a network of roads, railroads and energy projects. 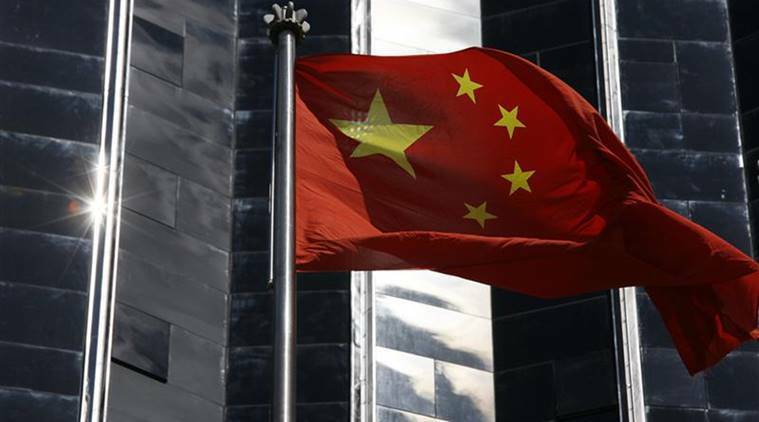 Though there is little transparency on the loan agreements, these Chinese investments, as always, will be through interest-bearing loans and China will pocket over 80 per cent of the profits. Moreover, Pakistan has created a special division of 1,50,000 troops with the sole mandate of protecting the corridor, some of which will run through the disputed Kashmir territory, exacerbating both security and political tensions. China’s investments in ports in the Indo-Pacific and their linkages to Chinese-controlled hinterland strategy is not only about economic interests. Its current increase of marine forces from 20,000 to 1,00,000 in order to rotate them through the expanding Chinese presence in ports from the South China Sea to Pakistan and Djibouti is also part of its strategy. The 2017 live-fire exercises by the People’s Liberation Army Navy in the Indian Ocean would have required significant prior planning. Sending submarines and deploying missiles in the Indo-Pacific is just part of a larger Chinese plan. The big question is what strategy, if any, do India and other Indo-Pacific powers have for the chessboard of the Indo-Pacific? To date, there is little evidence of such a strategy. At a recent conference in Sri Lanka to seek alternative sources of port funding, Japan showed up with a high-level delegation, while India was hardly present. An Indo-European alliance in the Indo-Pacific is a pipe-dream when major European players such as Germany cannot even agree on a foreign policy for the near-abroad. And despite the Trump administration’s tough talk in response to China’s deployment of missiles, this administration takes a transactional and not long-term approach to foreign policy. Moreover, strategic thinking on the Indo-Pacific has been turned over to the US defence department, where existing silos of command structures prevent formulation of a comprehensive strategy for the Indo-Pacific. Vietnam’s efforts to draw closer to a possible Indo-Japanese alliance to hedge against Chinese forays into waters it claims has met with little success. And attempts to institutionalise common interests between democratic Indo-Pacific powers, through concepts such as the Quad, have been big on talk and little on a common game plan. To date, the New Great Game in the Indo-Pacific is rather one-sided. While India and other major Indo-Pacific powers talk, China continues to strategise and build. History, it seems, is being replayed.